All life is touched by the moon and that is why the moon is a reaffirming symbol. It reminds us of the consistency of all life when it is constantly changing. These changes remind us of the infinite cycle of recycling and regeneration. It is symbolic of the circular nature of life, even with karma which is best defined by what comes around goes around. Symbolic moon meanings include; purity, mystery, eternity, magic, dreams, influence, fertility, subtle strength, influence and feminine power. 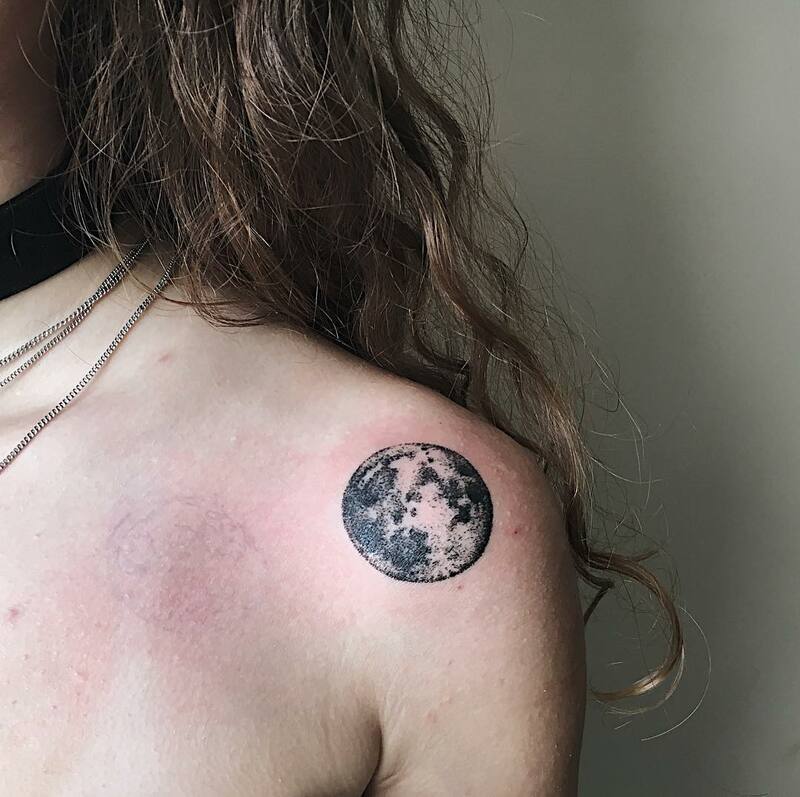 Moon tattoos are particularly symbolic to women because a woman’s cycles are inevitably tied to our own and because the moon signifies feminine power and fertility. In the past, goddesses were featured with the silvery moon to signify secret wisdom, hidden power or subtle strengths. Through out life, we always have had women who are capable of reflecting their inner energy with ease. Such women can intimately relate to the appeal of the moon. 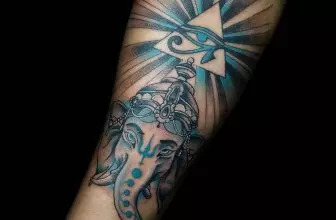 If you are such a type, these tattoos can act as a symbol that helps you flip to your spiritual side. 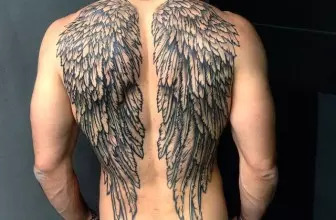 Although these tattoos are associated with women, there are also various male associations to it. The ancient cultures such as the Africans, Native Americans, the Japanese and the Maori associated male gender to the moon and was an important influence in their hunting culture. They also used to consult the moon for successful hunting and agriculture and viewed the moon as their primary source of provision. Below are some examples of moon significance around the world that might inspire your design theme. Native American; there are legends of an old woman glowing in the moon. She is eternal and is ever watching over her children and all of creation. Alchemical; the moon and silver have similar qualities such as they are both strong yet malleable, they are reflective and have a clarifying energy. When joined with the gold, which signifies the sun, the two have a cosmic or soul balance. Totemic; the moon is a call to many animals including humans and are all partners to moon energy. It is also symbolic of fertility and cycles. Taoism; the moon is referred to as the eye that shines through darkness and symbolizes spiritual enlightenment. Egyptian; the moon is linked to the Queen of the Heavens know as Isis and is a cosmic creatix. Archetypal; the moon is a Queen of Heaven who is a goddess, a mother, a lover and a priestess. In astrology the moon symbolizes humidity and a fertile principle. 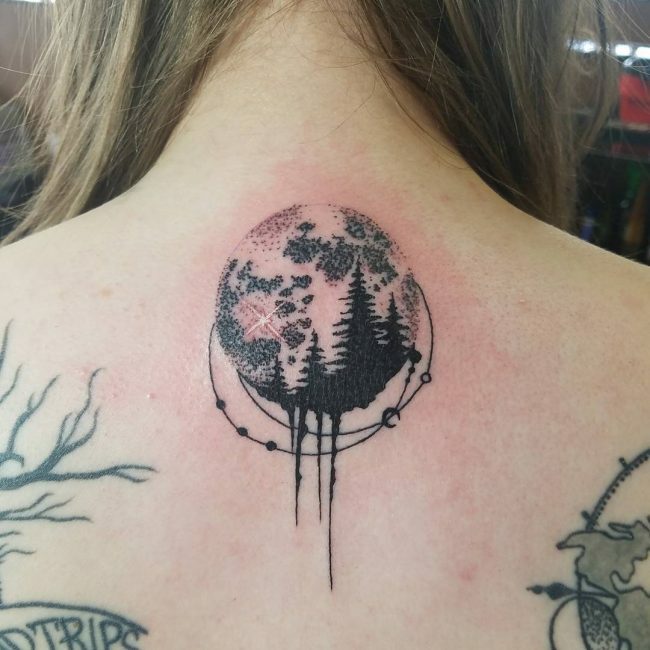 When tattooed, it symbolizes a connection to the unconscious, the dream and all which is fluctuating. 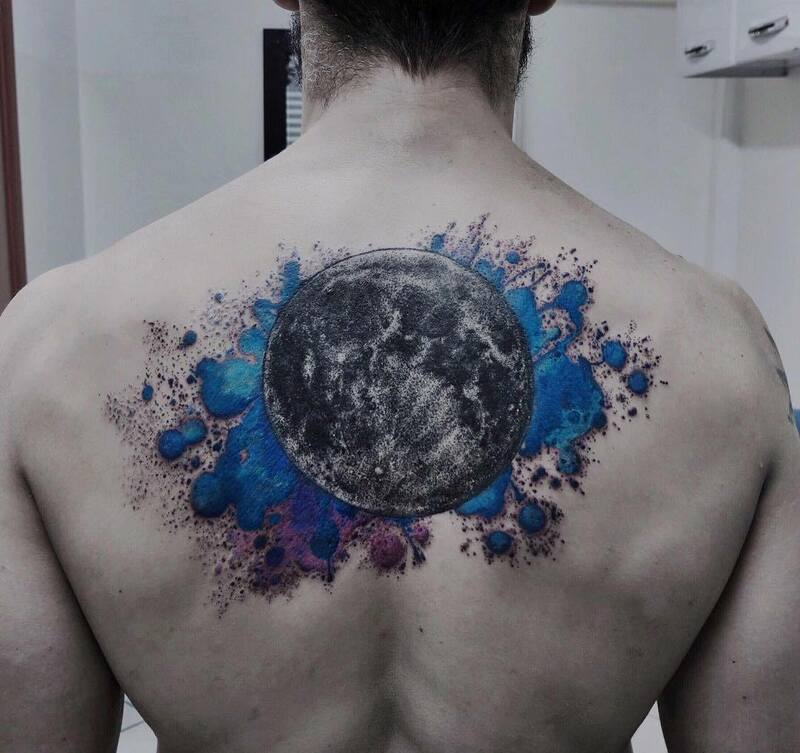 A man tattoo of the moon symbolizes hope for revival. 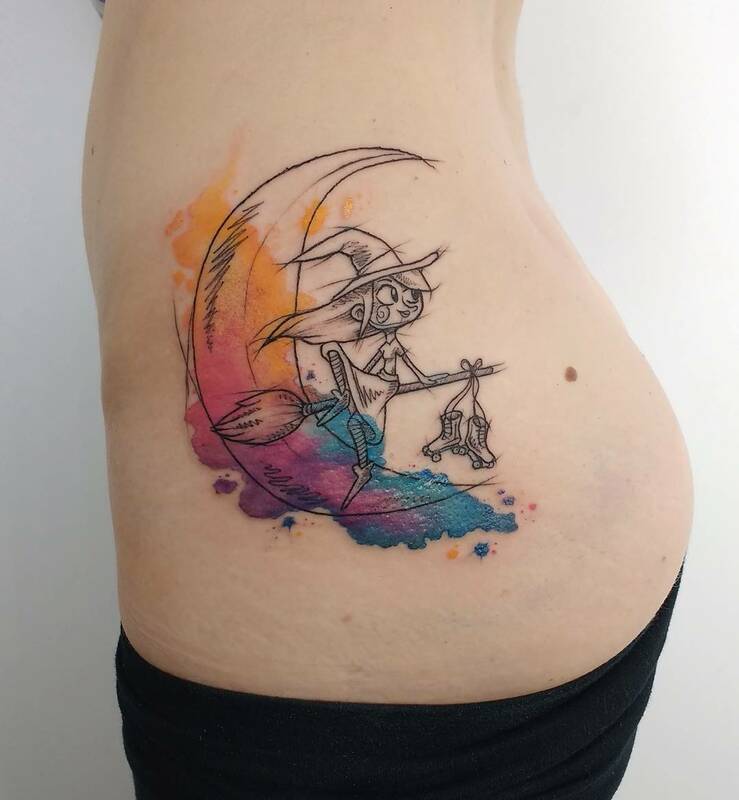 Moon tattoo can also be considered to be a fantasy tattoo because it is associated with fairies. 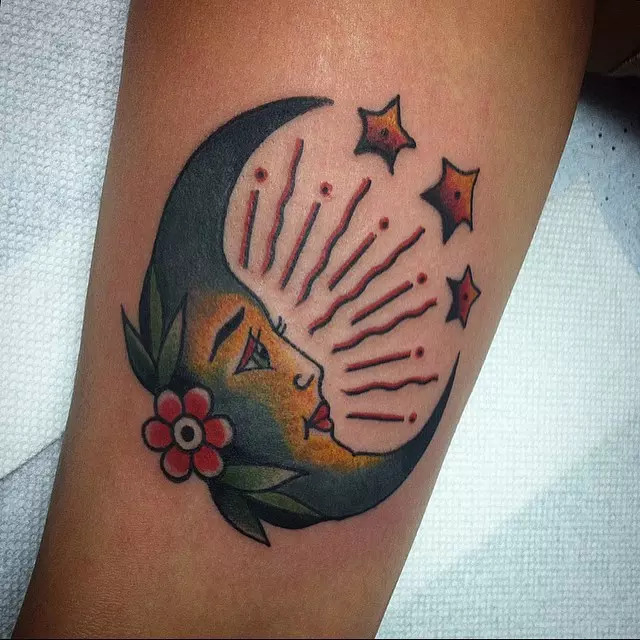 The moon is also associated with motherhood so can be a great way for mothers to symbolize that fact with this tattoo. 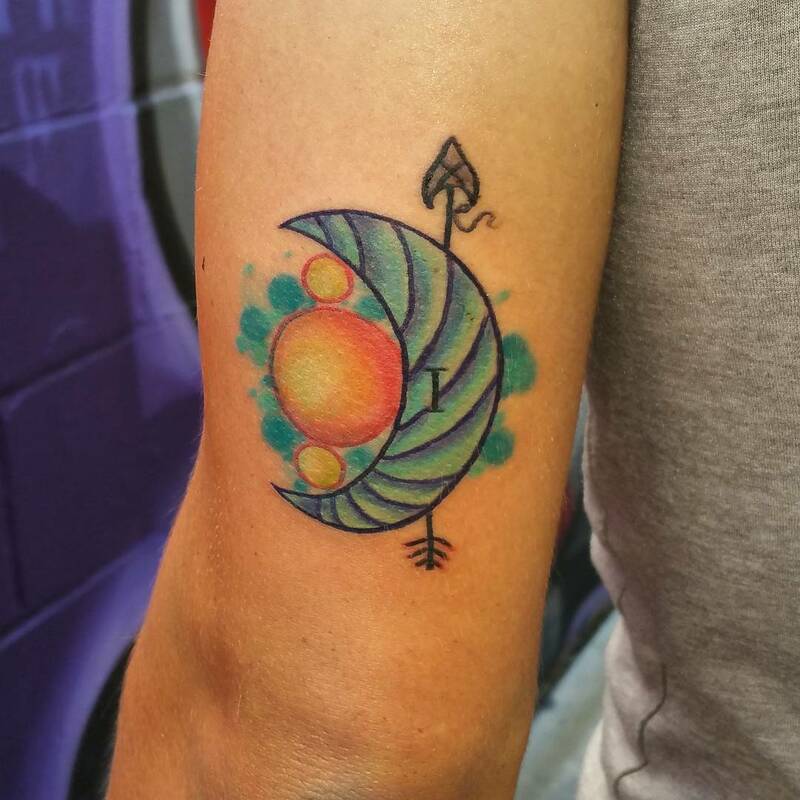 Mother can also use this tattoo to symbolize their caring nature, their motherly instincts and love for her children. 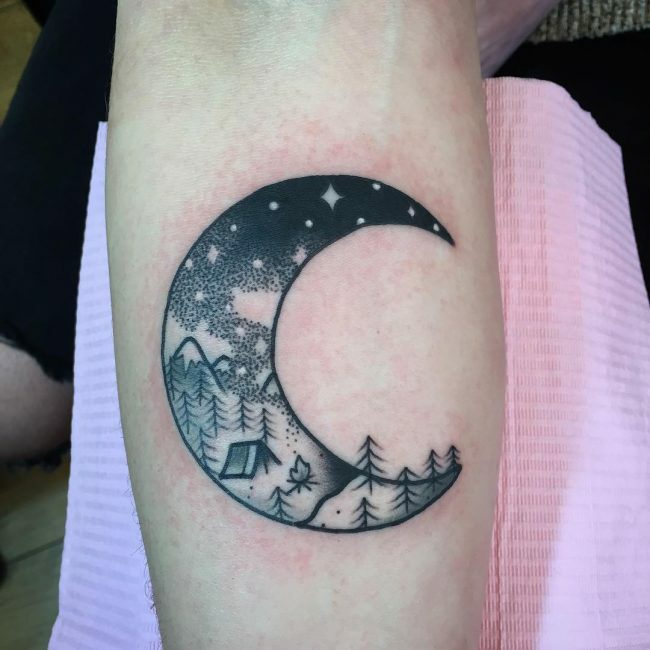 Some people also believe that the moon symbolizes our inner child, so it can also be a great way to symbolize your inner child with this tattoo. 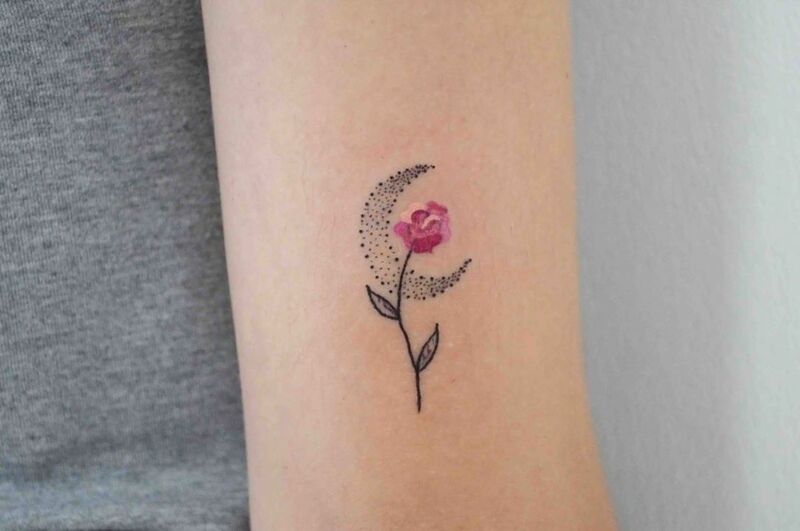 They come in different designs which include; black moon tattoos, crescent moon tattoos, half moon tattoos, blue moon tattoos, sun and moon tattoos and fairy tattoo designs. There are many meanings and associations to this tattoo and personal meanings vary from wearer to wearer. There are however general meanings of the various designs of this tattoo which are further discussed below. 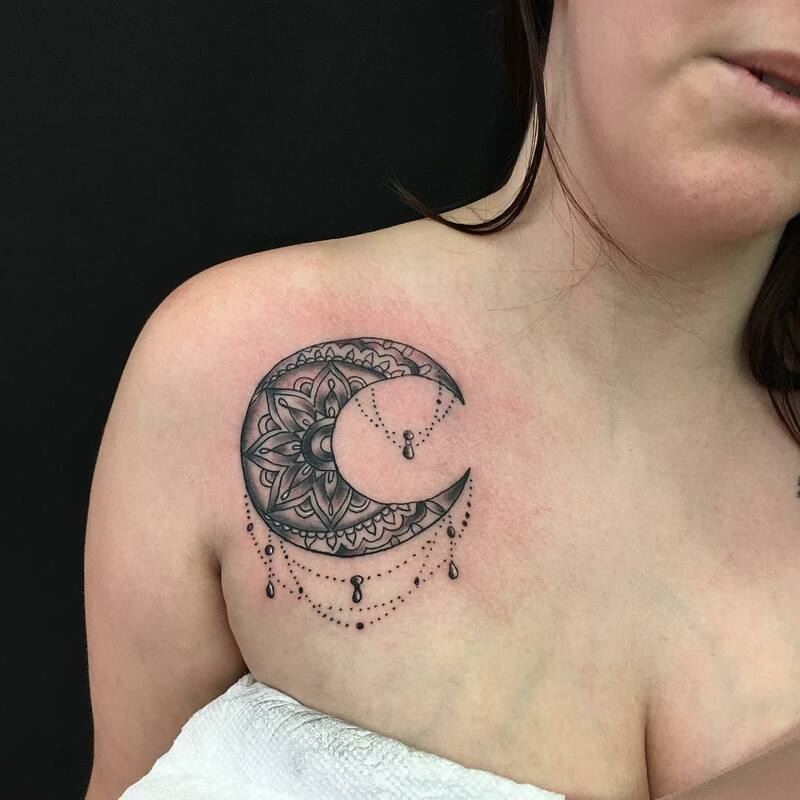 Celestial moon tattoos are magical and ideal for anyone who wants to symbolize the influence of religion, time or the unconscious mind. 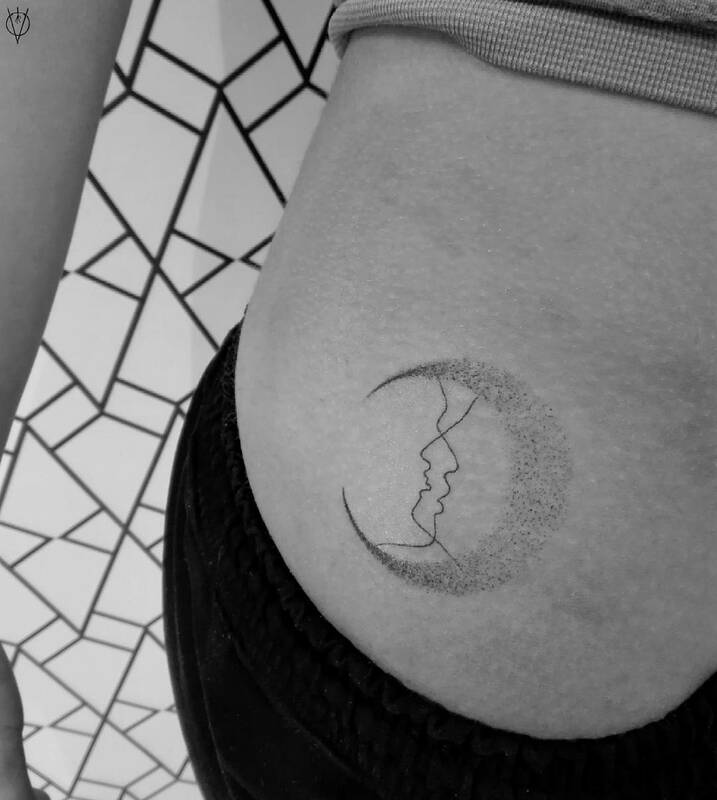 Half moon or crescent moon tattoos are ideal for those who worship goddesses and pay respect to astrology and the stars or for those who follow the waxing and the fading of the moon. 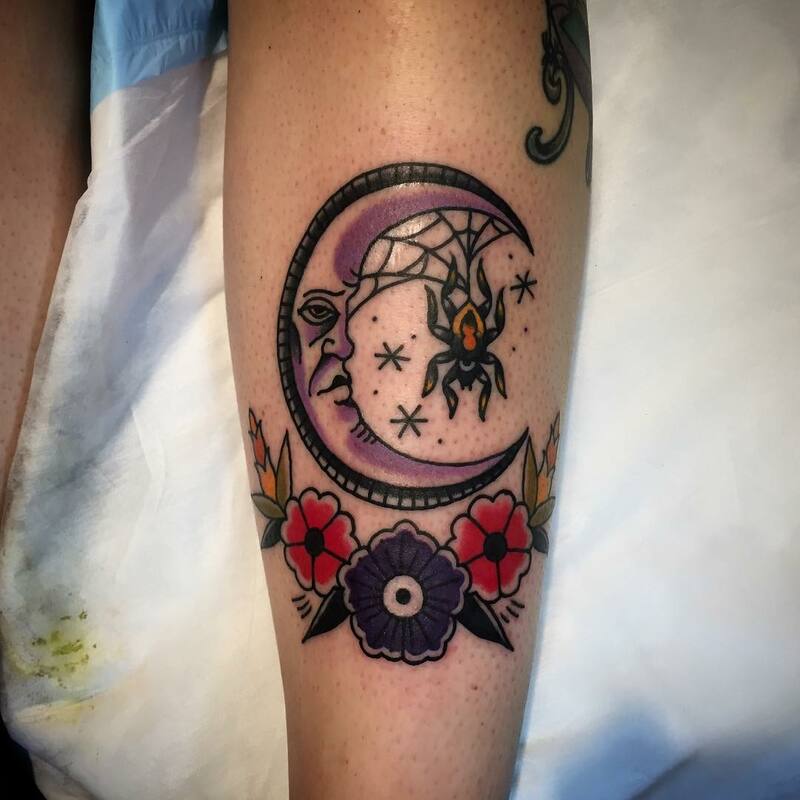 Full moon tattoos are associated with creature of the night. In the past there were many myths associated with full moons such as transformation of werewolves, increased insanity in the city and many births were said to occur during this time. 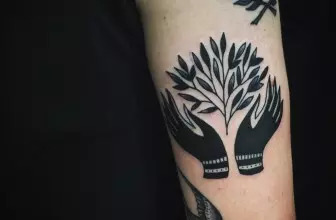 Today these tattoos symbolize a hidden wild side and mystery to one’s personality. 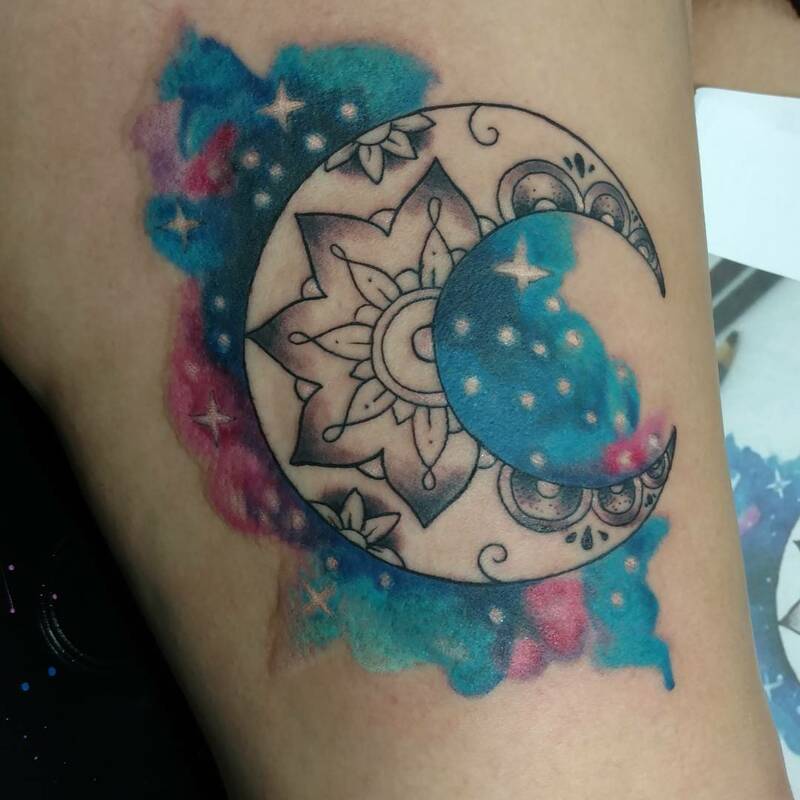 Blue moon tattoos can symbolize the third full moon in the four full moon season. Today a blue moon is the second of two full moons appearing in the same calendar moon. Blue moons are rare and occur once in about every 2 1/ 2 years, hence the common phrase “once in a blue moon”. These tattoos symbolize clarity of expression and can be used to symbolize coldness in someone’s character. 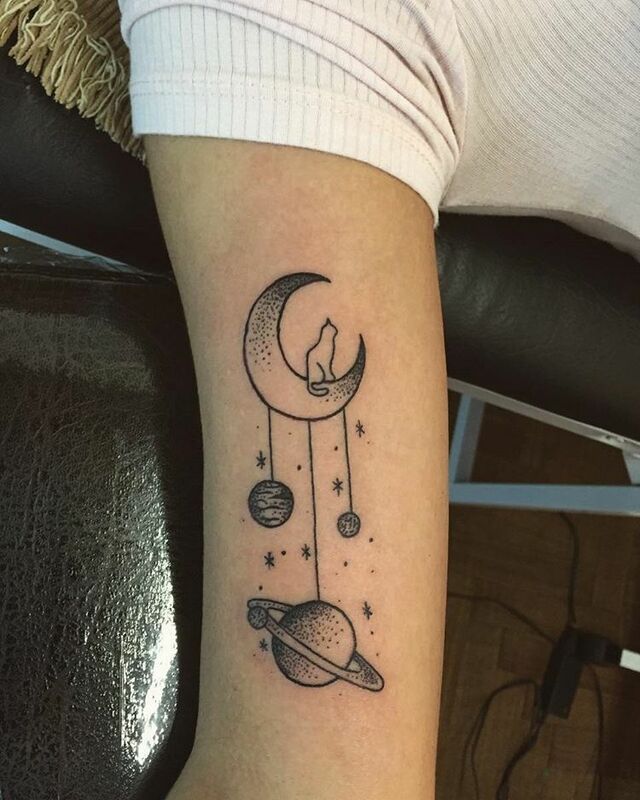 Astrological moon tattoos are dependent on birth dates and birth times. It is assumed that the moon goes round all the zodiac signs in 28 days and enters a new zodiac sign in approximately 2 1/ 2 days. These designs are ideal for those seeking tattoos that are different and personal. 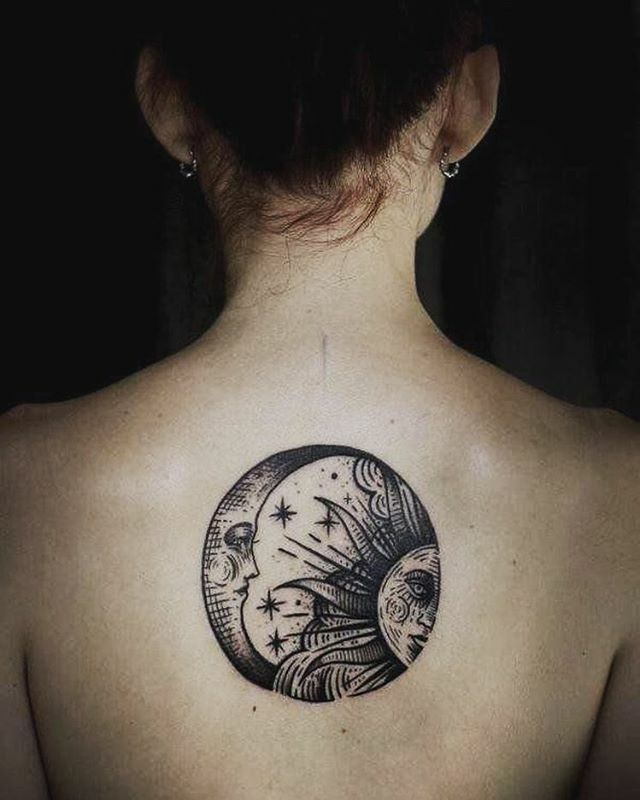 There are twelve moon signs and their meanings are further discussed below for those who might be considering tattoos in this category. Aries tattoos; people associated with this moon sign are quick thinkers and have love for instantaneous. They have a wonderful warm heart and have no hidden agendas. Taurus tattoos; people associated with this moon sign are sensual, emotionally strong and have loyal bonds of friendship. 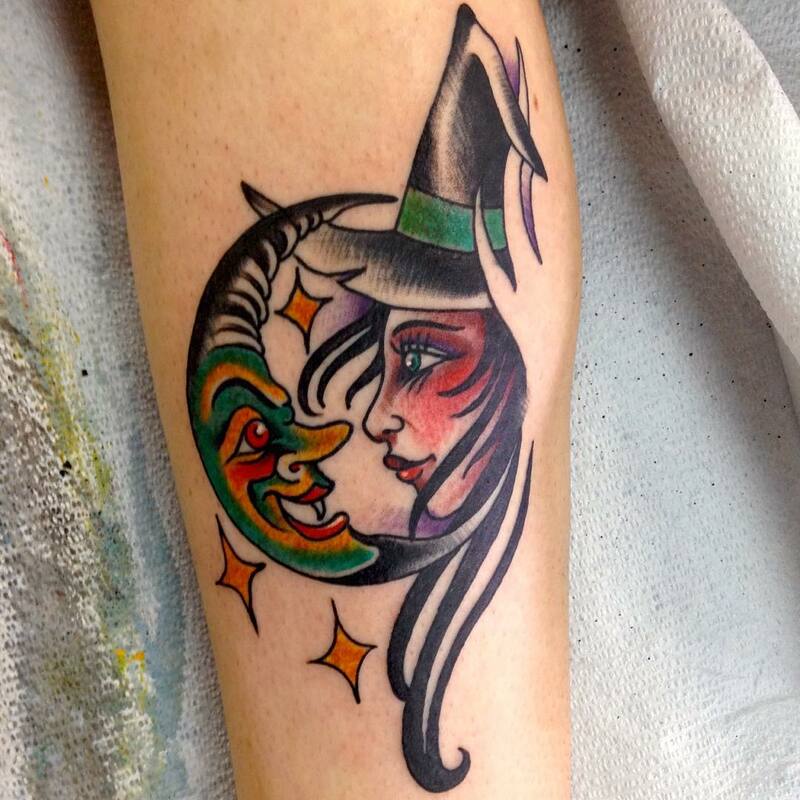 Gemini tattoos; people associated with this moon sign are witty, easily changeable and thrive on communication. Cancer tattoos; people associated with this moon sign are compassionate, kind and sympathetic. Leo tattoos; people associated with this moon sign are generous, optimistic, encouraging and have a flamboyant sense of style. They are self driven, neutral leaders. Virgo tattoos; people associated with this moon sign are highly principled and always set high standards. They are sociable, logical and have high organizational skills. 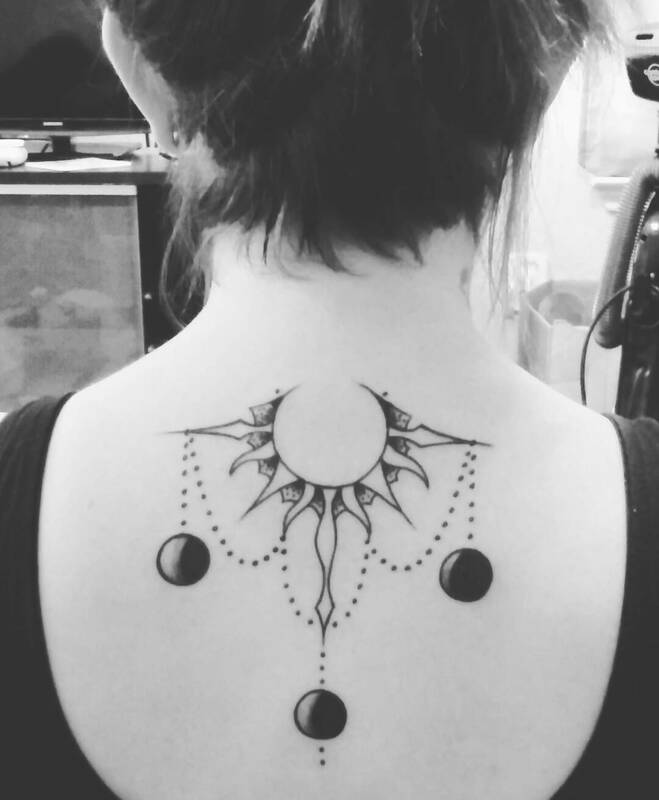 Libra tattoos; people associated with this moon sign love pursuing excitement and harmony. They are charming and creative. Scorpio tattoos; people associated with this moon sign have relationships that are filled with depth, intensity and passion. They are fearless and have a strong moral conscience. Sagittarius tattoos; people associated with this moon sign have a need to keep moving and are firm believers of justice. Capricorn tattoos; people associated with this moon sign carry a sense of responsibility towards those around them. They are brave, have a sense of duty and are enduring. 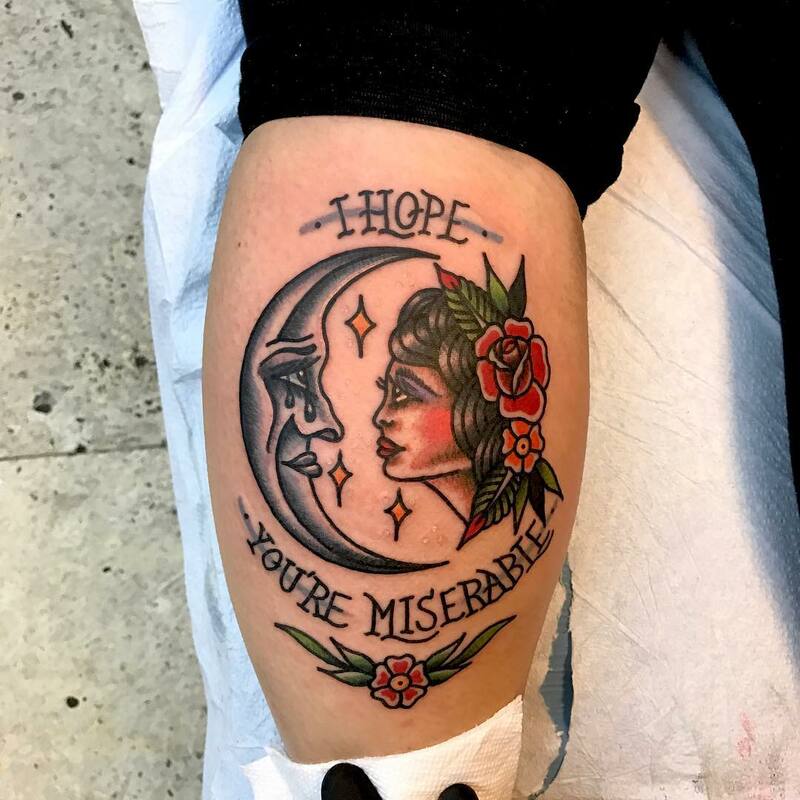 Aquarius tattoos; people associated with this moon sign are idealistic, set their own moral standards which do not always coincide with that of the society. 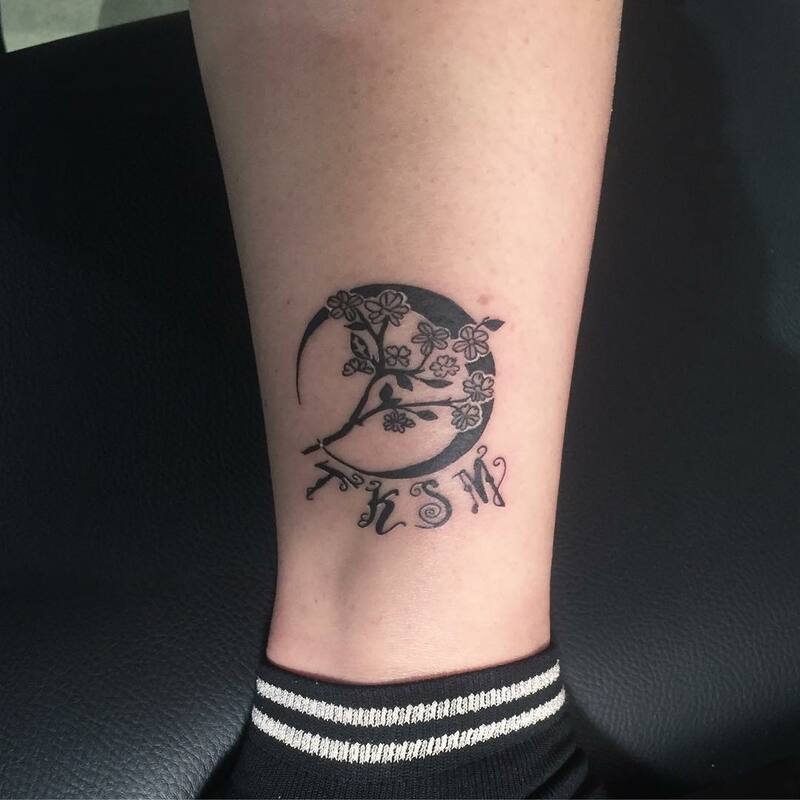 Pisces tattoos; people associated with this moon sign often put other people’s needs before their own. They are also creative and are driven by a strong desire to make the world a better place. 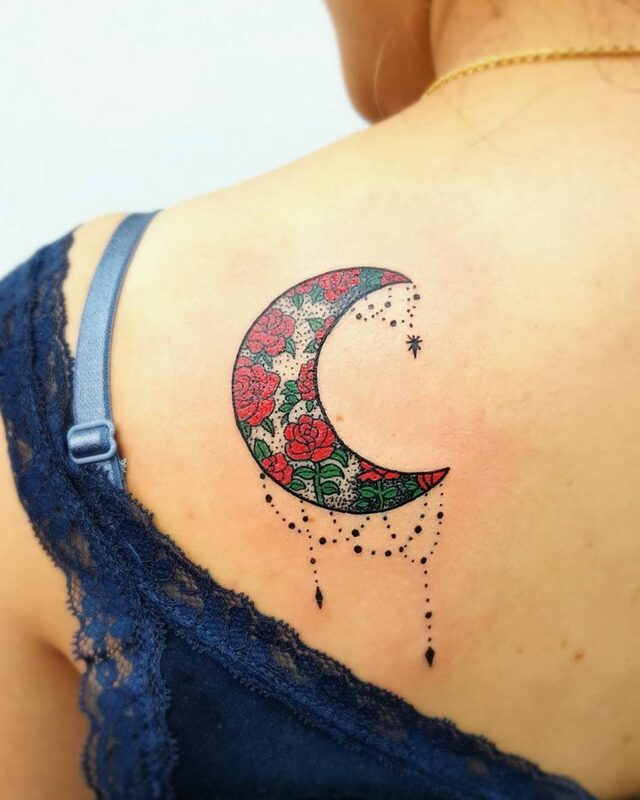 Religious moon tattoos are symbolic of both Christian and Islamic faith. For Christians this tattoo features two overlapping thin crescent moons. For the Islam this tattoo mainly features a crescent moon and a star. 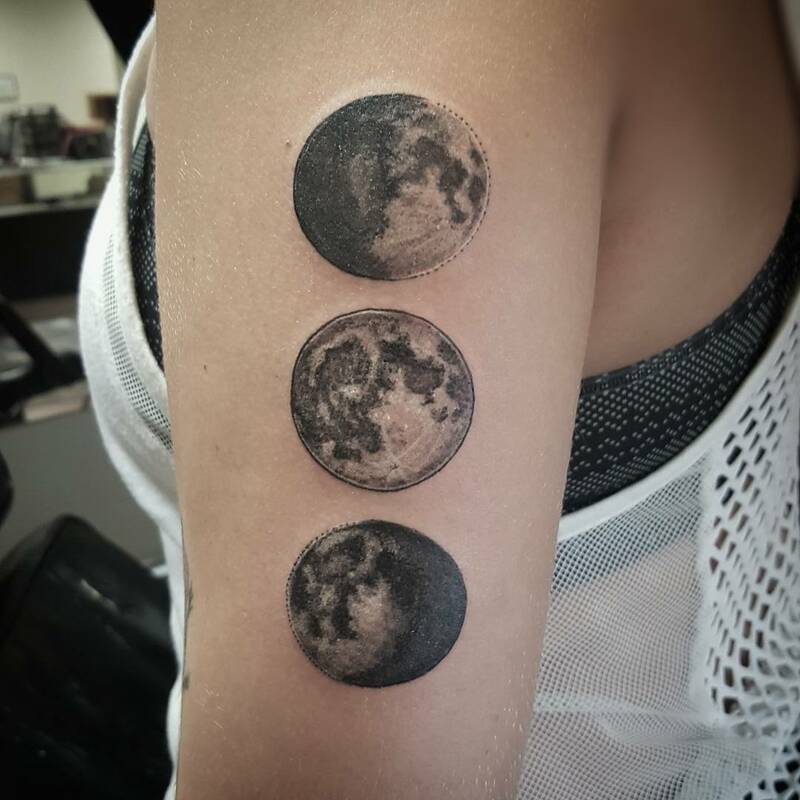 Moon tattoos can be simple or detailed depending on the theme. 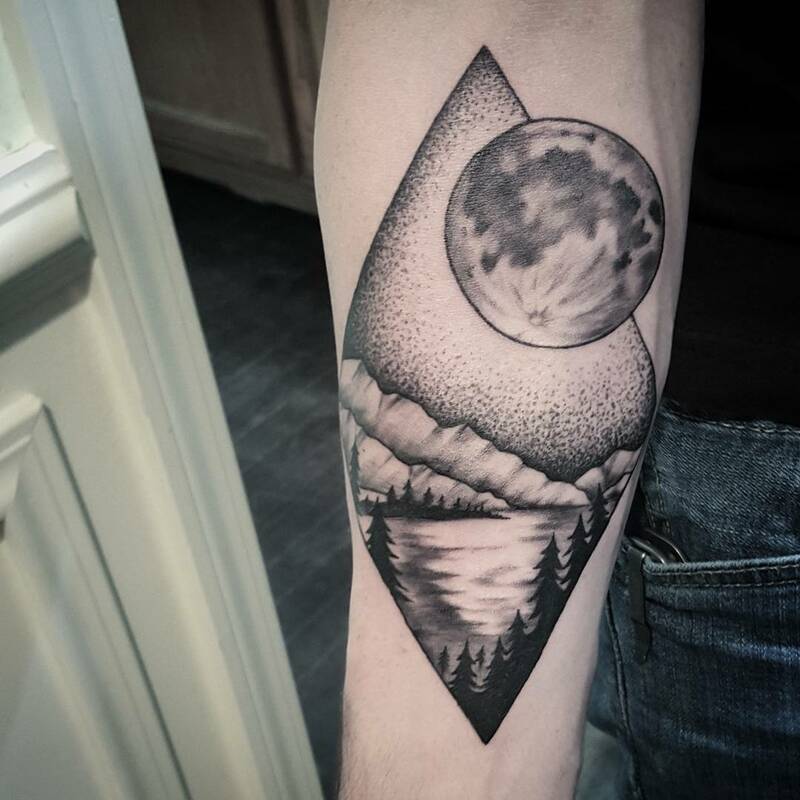 It is wise to settle for a good tattoo artist to make sure that your theme is properly captured in the tattoo. Before you settle for any moon theme tattoo, it is important that you decide which phase you want the moon to represent and whether you will be adding other things like stars to the tattoo. Also remember to consult your tattoo artist where to place your tattoo. 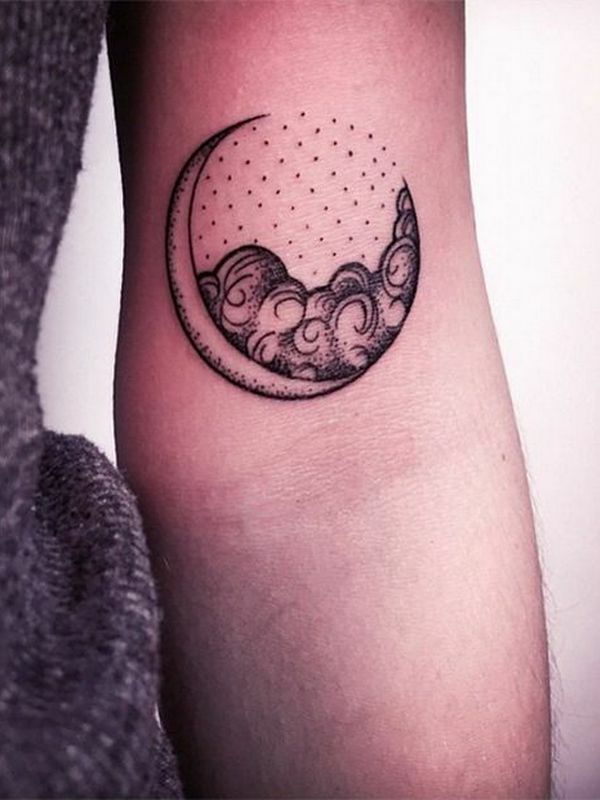 The location should help you appreciate the moon’s magical force and should make it easy for the tattoo to be seen.